Is there a problem when your recently widowed pastor is engaged merely 6 months after his wife’s passing? …Quite possibly if the bride-to-be is nearly 40 yrs his junior. Tri Seven Entertainment presents "Lord Help Us", an urban inspirational comedy directed and produced by Shavar Ross will leave audience members laughing and shouting in the pews with its story of life, love and the pursuit of everything in between. 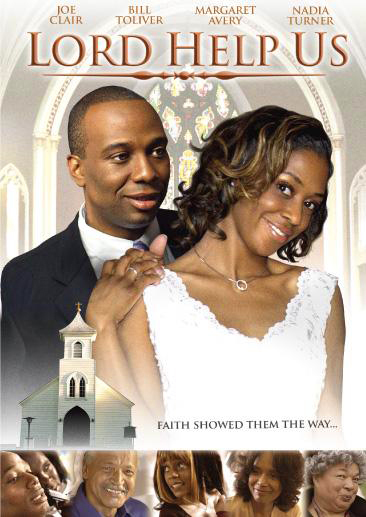 A devoted wife, unbinding faith in the Lord and a church that worships his every word Reverend Henry Lee Thomas thought he had it all, - that is until he lost the one thing that meant most to him- his beloved wife Dorinda. Mournfully, he questions God and soon turns over pastorship to his brother to live in what was supposed to be a reclusive lifestyle. Divine intervention rears its head…long time friends and cohorts Kayla Brooks and Jewels Vernon establish a live-in home cleaning service, “Bling Bling Clean”. They soon discover it is the Reverend’s life that is their first point of business. A surprise visit from religious church vixen, Luella Porter out to catch her man, stirs up some down-home glorified gossip as an unfriendly, yet youthful beauty Kayla answers the door. "Lord Help Us" stars newcomer Bill Toliver as Reverend Henry Lee Thomas, Nadia Turner (American Idol) as Kayla, Joe Claire (B.E.T.) as Jewels and Amentha Dymally as Luella Porter with special appearances by Omar Gooding, Al Jarreau, Tico Wells and more. Writer, director, producer Shavar Ross is fondly remembered as "Dudley", Gary Coleman's best friend on the hit 1980's television show "Diff'rent Strokes". Ross, now 34, has been an actor for well over 20 years and starred in over 100 films and episodic television productions including What's Love Got To Do With It?, Fresh Prince Of Bel-Air, Family Matters, and many more. After completing 4 years of biblical studies at The Ministry Training Institute, an auxiliary of one of the largest churches in Los Angeles, Shavar founded The Alive Church in which he pastored for 4 years and made the ultimate decision to minister through writing and producing films for wholesome family entertainment. "Lord Help Us" debuts screening at the Pan African Film & Arts Festival on Saturday, February 17th at 1:30 PM at the AMC Magic Johnson Theater. Come meet the director and cast members as tickets are available now! For more information, visit www.tri7entertainment.com. 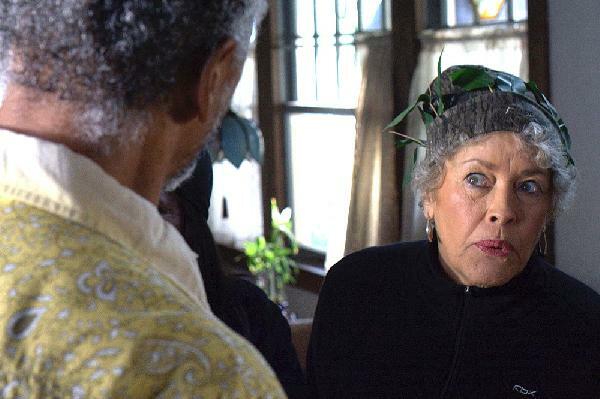 Luella Porter (right, Amentha Dymally) confronts widower Rev. Thomas (left, Bill Toliver) on rumor he will marry woman nearly 40 yrs. his junior. It's a church affair as members gather to witness a rumor come to "life". 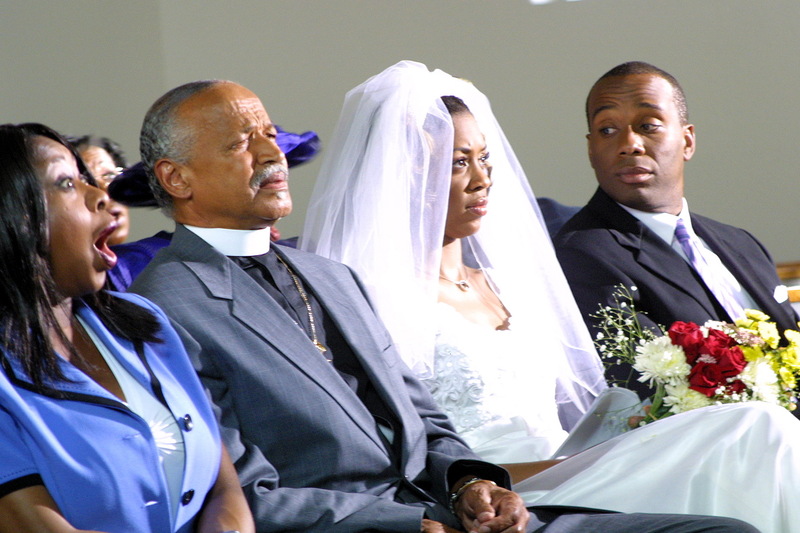 (left to right: Marion Ramsey, Bill Toliver, Nadia Turner and Joe Clair).